This two-pack of Medela Flow Teats perfectly complements all Medela breastmilk collection bottles and ensure a natural, comfortable feed for your baby. The Medela Flow Teats provide the perfect feeding solution to complement the Medela bottle range. 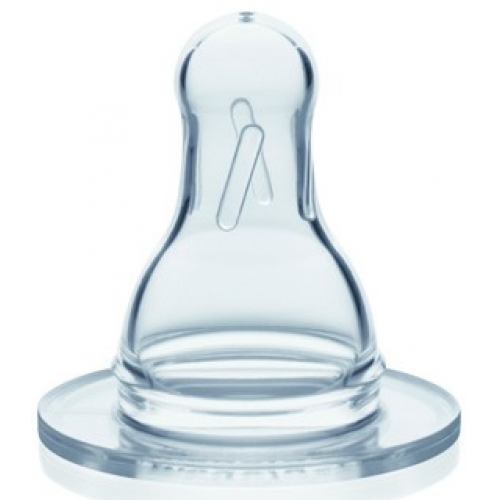 These standard neck silicone teats offer safe delivery of your expressed breastmilk for when feeding at the breast just isn't possible. Made of soft silicone, these teats are perfectly odourless and tasteless for your baby so will feel natural from the first use. The Medela Flow Teats can be sterilised in steam, cold water or using the Medela Quick Clean Micro Steam Bags, making them easy to use and convenient to clean.